Professional Surface Installation (PSI Inc.) specializes in commercial and industrial polished concrete, grinding, moisture mitigation, decorative solutions and epoxy systems. 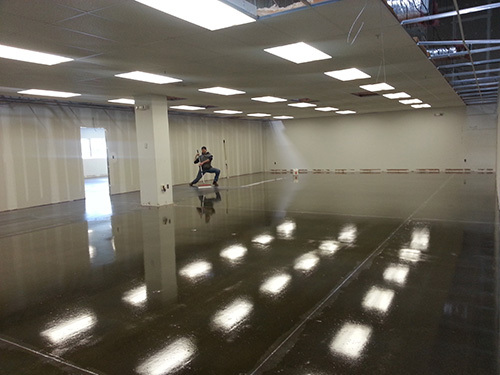 Polished Concrete – This is a process of grinding and honing cementitious floors. Over the past 10 years the process has evolved due to improved equipment, techniques and products. You may have seen polished concrete or self leveling cement Home Depot or other local home improvement stores. Gray, slightly glossy with a natural appearance. What you may have seen or walked on could have been new. There may be few if any blemishes, it’s even and clean with a few control joints. You may have also seen polished concrete in a coffee shop, retail store or restaurant. These floors could have been colored with an earth tone using acid stains or dyes. If you’ve seen vibrant colors solvent based dyes may have been applied. Every concrete floor is unique frequently requiring a custom solution. Due to the demand of polished concrete, the industry has evolved with countless solutions. That’s where PSI Inc comes in. The quality of our products far exceeds the self leveling cement Home Depot supplies. Moisture Mitigation – This is a process of grinding the surface followed by application of a 100% penetrating epoxy to cap the moisture. Self-Leveling Cement can then be applied typically at ¼ – ½ inch thickness. Grind and Seal – This is usually an economical solution with less steps than a typical polish. We grind surface and slightly hone followed by application of protective epoxy or urethane. Economical, natural with low maintenance. 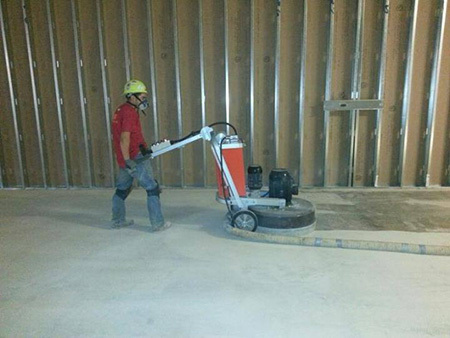 Concrete Polishing – Starts with course grinding blades to remove top surface. High powered vacuums are used to contain dust. Numerous steps starting with 25-40 grit followed by 80, 100, 200 and 400 grit diamond blades. A liquid densifier is applied and spread evenly throughout the surface. Stains and dyes can be applied to achieve a decorative appearance. Then subsequent honing steps including 800, 1,500 and 3,000 polish levels. Self-Leveling Concrete and Overlays – Leading manufacturers such as Mapei, Ardex and others have creating cementitious overlays that can be polished. They can be colored with pigments during the mixing process as well as topically stained and dyed. Sawcuts can create the appearance of custom tile or a unique design. Epoxy Floor Coatings – When a polished surface or new cementitious overlay is not the appropriate functional and decorative solution, there are many options utilizing mortar systems and coatings for epoxy flooring Chicago businesses. These can range from thin epoxy paintings to high performance chemical resistant coatings engineered for specific uses. For example, there are antimicrobial and static concrete epoxy systems. ESD coatings are used where static control is a requirement. There are also many ideal for specific industries. Bridge and Highway – There are corrosion specific coatings for steel and concrete used in construction of highways and bridges. Food & Beverage Coatings – Commercial kitchens pose challenges due to grease, oil, excessive foot traffic and extreme temperature changes from ovens and hot water pressure cleaning. Temperature changes cause slight contraction and expansion that will cause failure of the wrong system. Most commercial kitchens are in use 7 days a week. Down time to fix failed epoxy coatings is expensive. We will help you determine the best system for your use. Chemical Facilities – Novolac epoxies are appropriate for facilities with chemicals. In the event of a spill, floor coatings must withstand harsh chemicals. Contact us to discuss your requirement. Airplane Hangers – Aircraft facilities have unique requirements for coatings. They can range from decorative metallic epoxy systems to grind and seal with non-slip sealers and high light reflectivity. 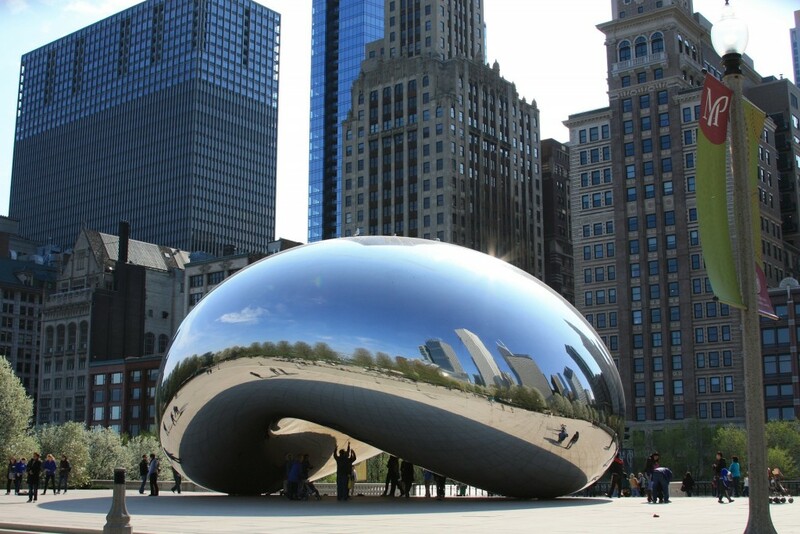 We are based in Chicago Illinois servicing commercial and industrial facilities nationwide. I walked into my uncle’s garage the other day, and I was really impressed with his flooring. After reading this, I’m pretty sure he had an epoxy floor coating. I would love the clean look of a polished concrete, so I may just have to invest into this as well. Thanks for sharing this. If I didn’t know that the floors were concrete, I’d say that you were lying about the second picture. That is pretty darn shiny which I’m sure there are many people out there who would want their floor to be like that. If I owned a business with concrete floors, I would want them to look like that.